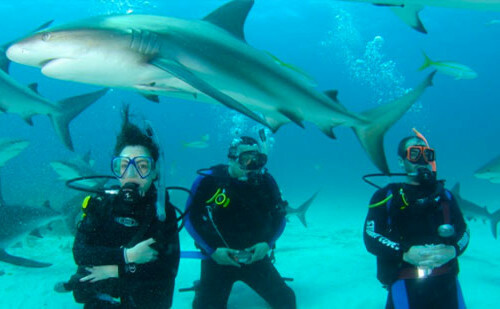 The Bahamas Islands are an archipelago of 700 islands, situated where the Western Atlantic Ocean meets the Caribbean Sea. 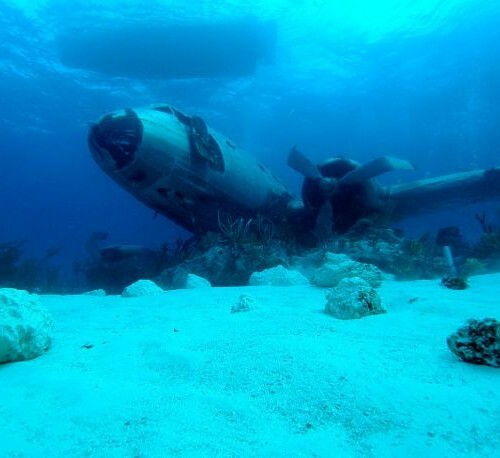 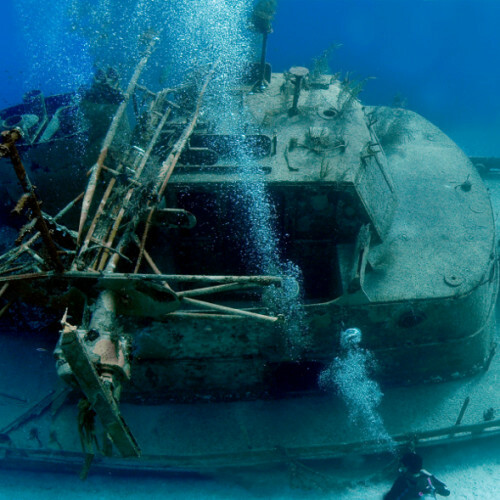 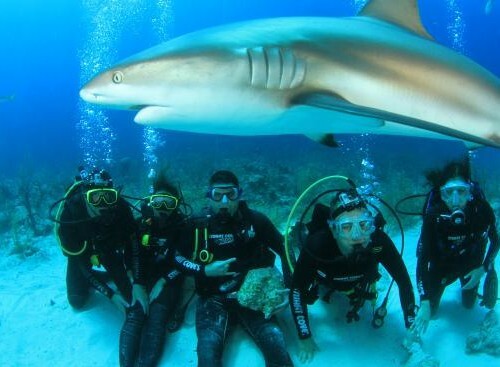 The subtropical climate makes dive conditions in the Bahamas Islands impressive year-round. 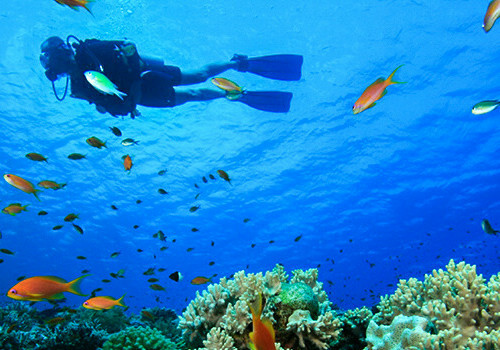 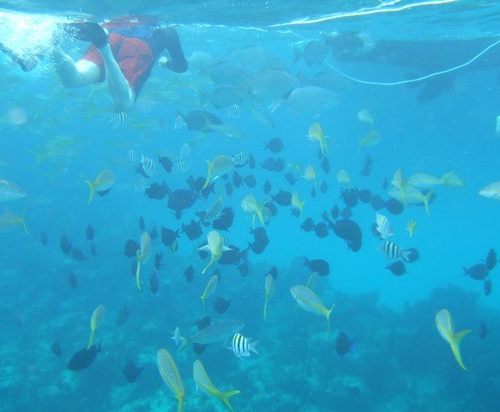 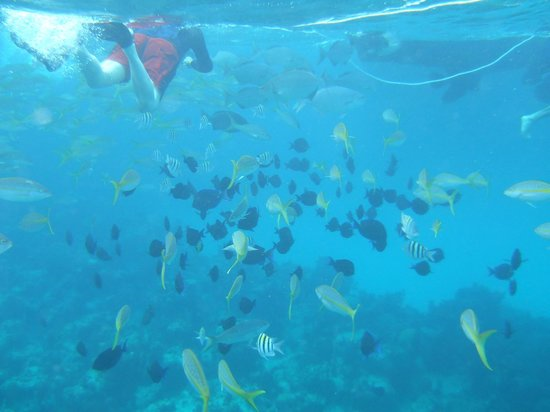 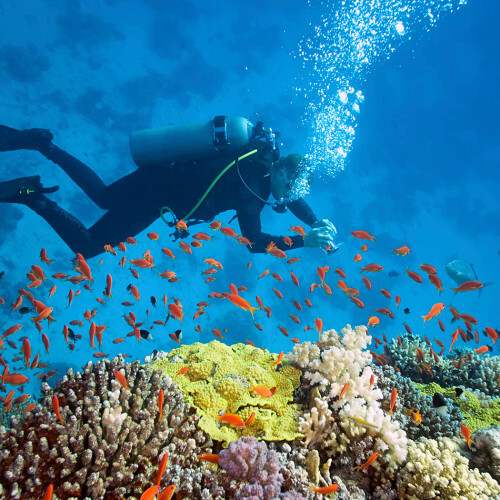 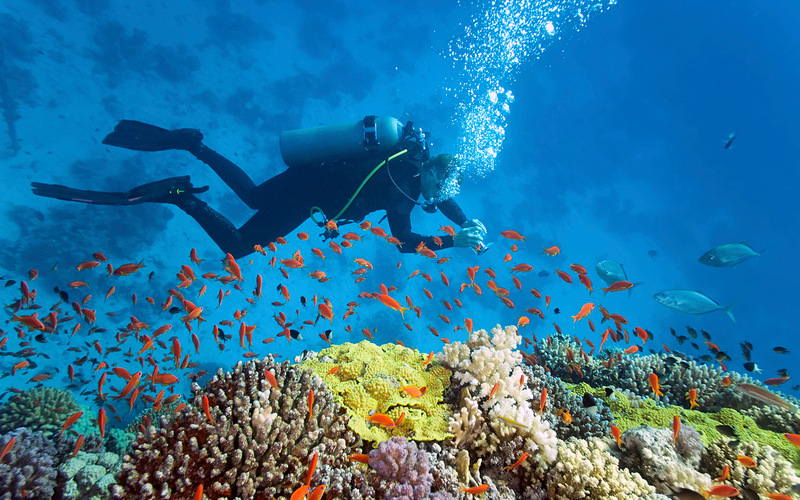 The waters off New Providence Island provide great diving destinations. 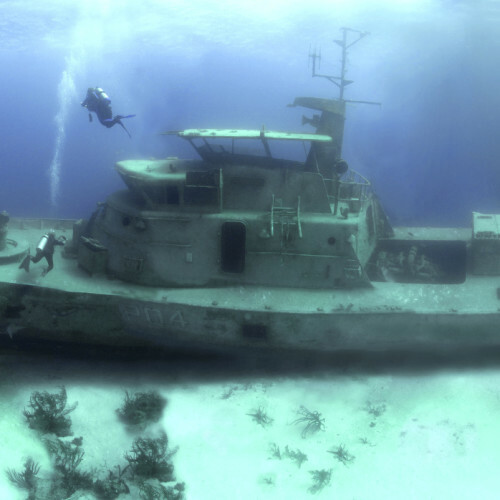 From shark feeding dives, dolphin dives, wreck dives, to diving in ocean caverns called blue holes, the dive sites of New Providence are unsurpassed because of its fortunate location at the north end of the Great Bahama Bank. 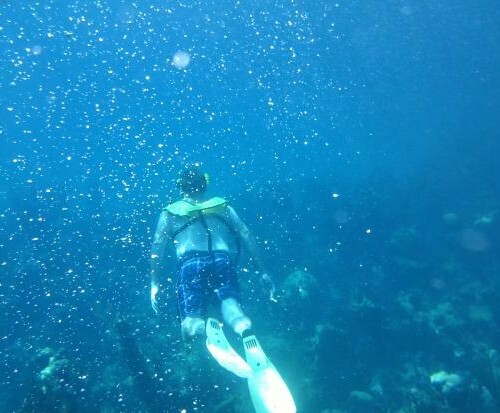 Gentle winds and easy sailing conditions provide divers superb snorkeling and scuba-diving opportunities in New Providence Island. 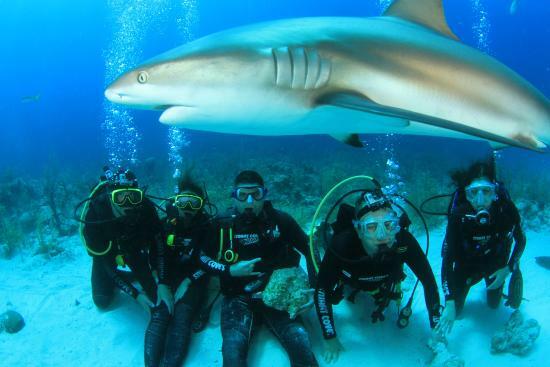 Shark Buoy, located an hour out from New Providence, boasts a lot of marine life, but its main attraction is Silky Sharks. 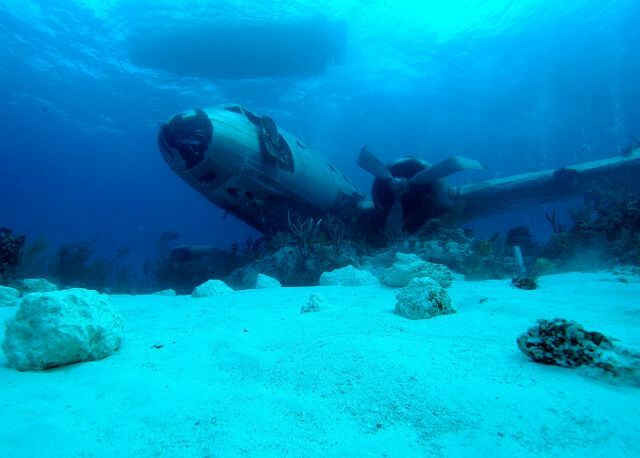 The area south of New Providence has been a popular spot for numerous Hollywood movies, including James Bond films. 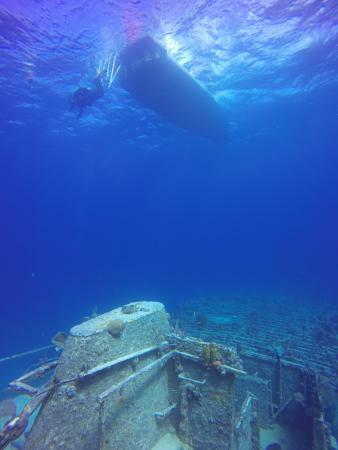 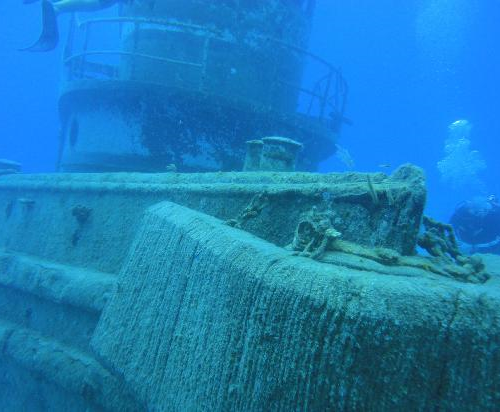 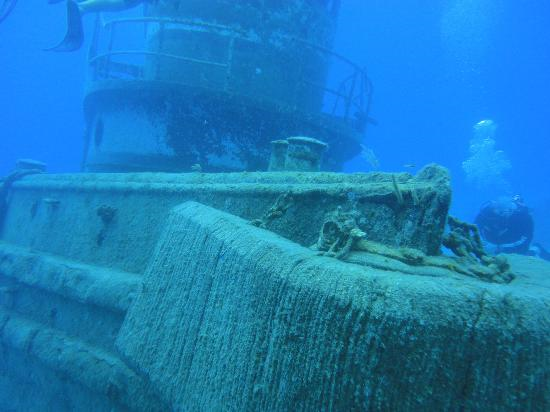 A number of wrecks have been placed on the bottom as underwater sets. 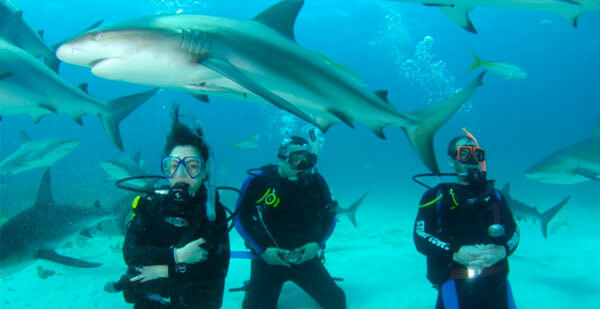 You can relive the adventure of James Bond movies by diving the Vulcan Bomber, a wreck from the movie “Thunderball,” and the Tears of Allah, another wreck from the movie “Never Say Never Again.” If you're looking for a bit more adventurous experience, our crewed charter yacht and diving guide can take you to the shark-feeding dive spots - the David Tucker II, which is an ex-defense force vessel, and the Bahama Momma, which sunk in 1995. Our private yacht charters give you the freedom to explore the popular dive spots of New Providence at your own pace. 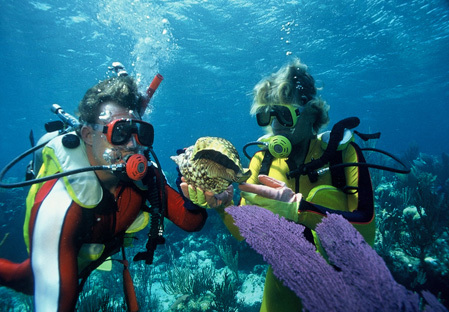 All Bahamas yacht charters are fully equipped with scuba diving equipments and modern amenities, so all that’s left for you to do is enjoy your sailing vacation and diving adventure.